Don't miss this opportunity to own the very popular "Cumberland" model which features 3 bedrooms plus a large loft. Being one of the larger patio homes in Willow Creek, the main floor features a large living room with fireplace and bay window, formal dining room and a family room. This is the perfect home for the buyer who wants a solid "move in" quality home with plenty of equity to allow for decorating. The exterior paint is approximately 1 year old and the roof is brand new. The original windows were replaced with vinyl windows. A large open unfinished basement is ready to finish for added living space. The large 15ft X 25ft deck is partially covered and has been recently stained and is ready for summer enjoyment. The back yard is low maintenance synthetic turf. 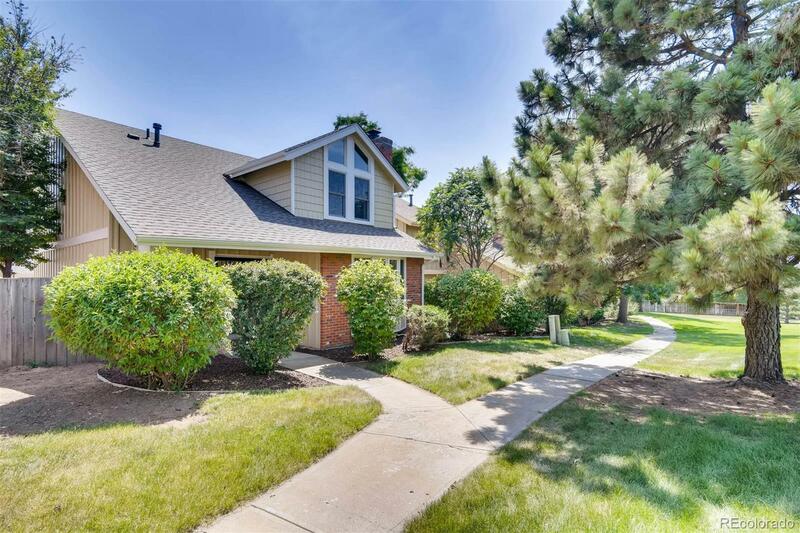 Experience the uniqueness of Willow Creek plus all the conveniences offered by it's prime location...Tech Center, Park Meadows, Fiddlers Green, Light Rail and easy access to I25&470 for quick trips to Denver and DIA.